NEW YORK CITY (WABC) -- New Jersey Transit service has resumed service in both directions between New York Penn Station and Newark Penn Station after a fire near the Portal Bridge. The Northeast Corridor, North Jersey Coast Line, Raritan Valley Line and MidTown Direct were all affected, but trains are now running again with 45 minutes delays. 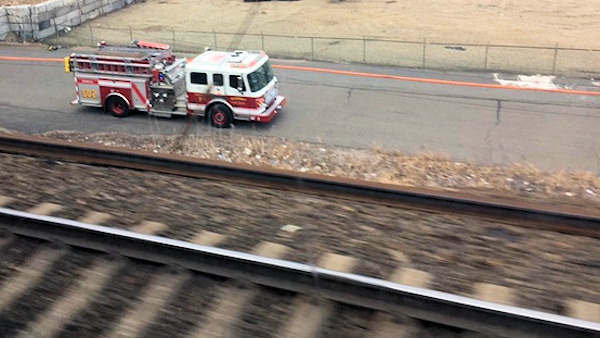 The bridge connects Kearny and Secaucus, and firefighters had to run their lines over the tracks to extinguish the small fire. It resulted in what was nearly a full suspension of service. Riders are urged to plan extra time for travel.